We are wholesaler, trader and suppliers of a qualitative range of Door Handles and Hinges. Our products have continually been observed to be functional and easy to use in households, hospitality industry and construction. 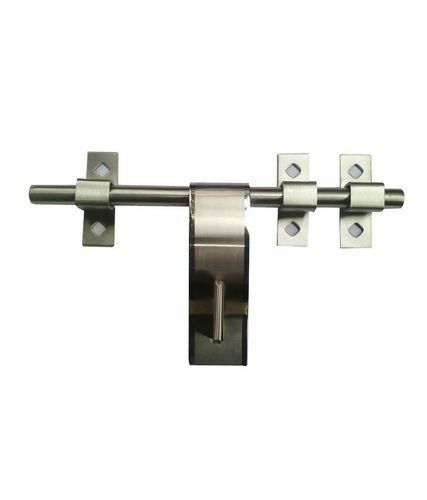 We are a reputed firm engaged in the trading, wholesaling and supplying high quality Door Handles, Door Closers, Glass Door Floor Springs, Curtain Brackets, Curtains Rods, Cupboard Locks etc. At the vendor's end, the offered products are manufactured using advanced technology and quality tested, raw material in compliance with the international quality standards. The offered products are highly demanded for their features like durability, sturdiness, dimensional accuracy, precisely designed, corrosion resistance and easy to install. Also, we provide these products in several specifications to meet the varied needs of clients in an efficient manner.